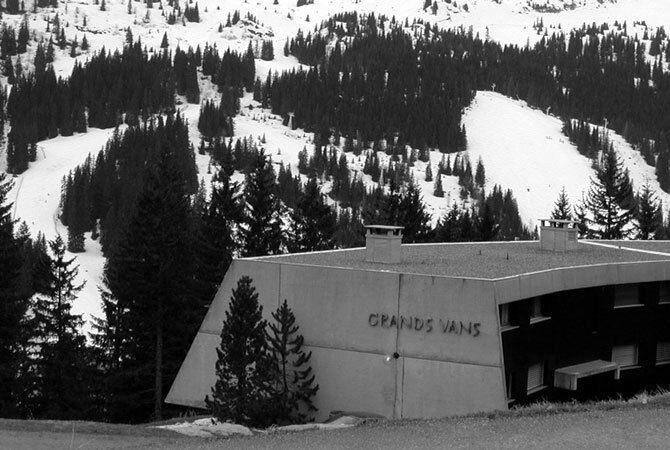 The clients wanted a ski apartment in Marcel Breuer’s Flaine complex near Geneva – an open wood fire in an ultra modern fireplace was a must. 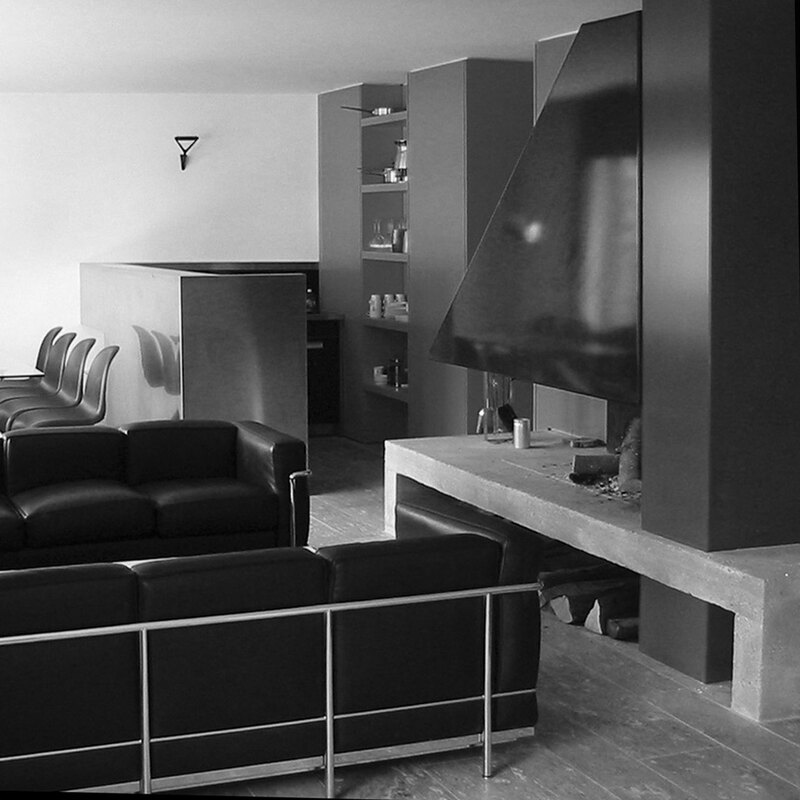 shedkm and Swiss architect Guido Truffer created, in an extremely small space, an example of Bauhaus style continued right through to the household artifacts. 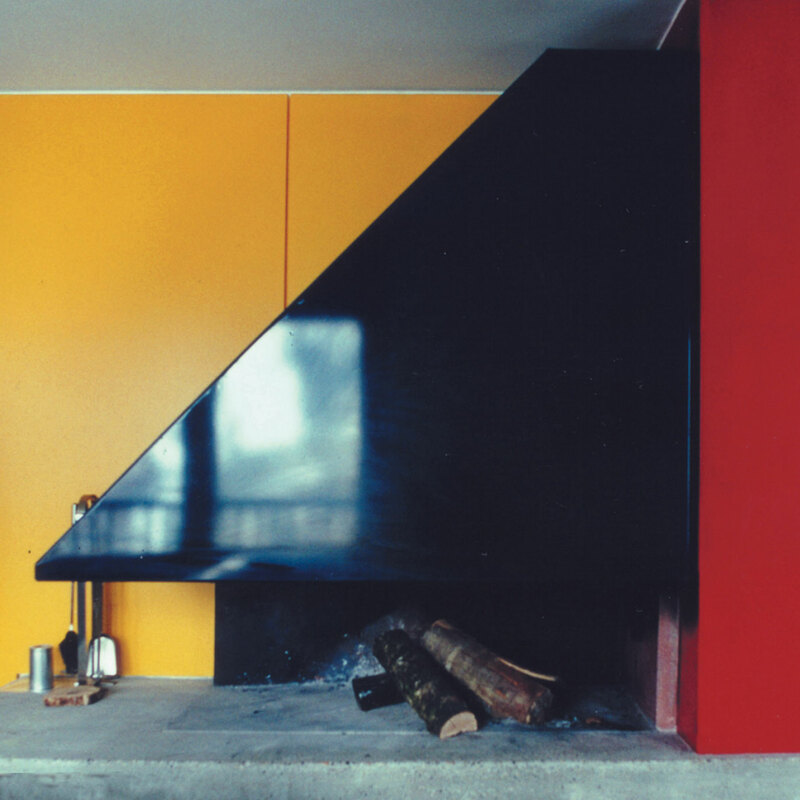 In direct contradiction to current Alpine ski resort trends, primary colours contrast with cool vals stone, and an internal hot tub shares space with the open fire.